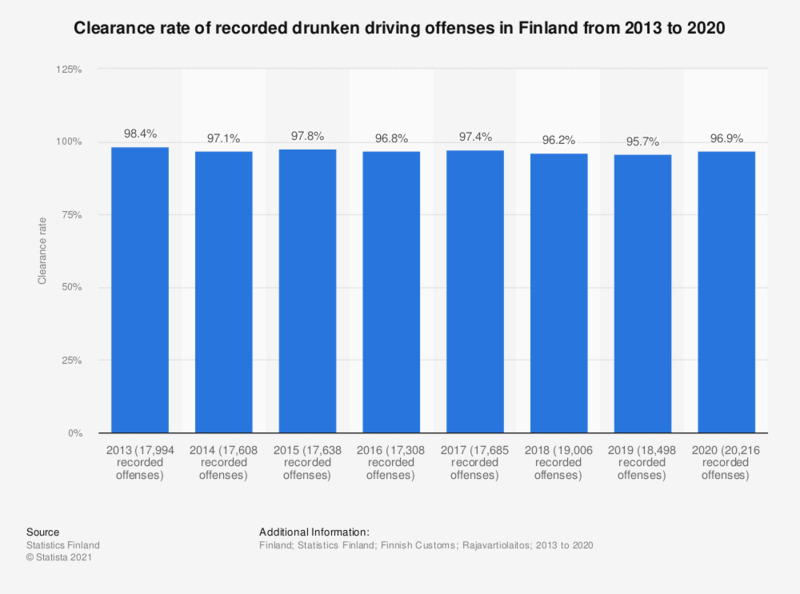 This statistic shows the clearance rate of recorded drunken driving offences in Finland from 2013 to 2017. In 2017, the clearance rate of drunken driving crime was 97.4 percent. The figures stand for the clearance rates of offences recorded by the police, by the Finnish Customs and the Border Control.